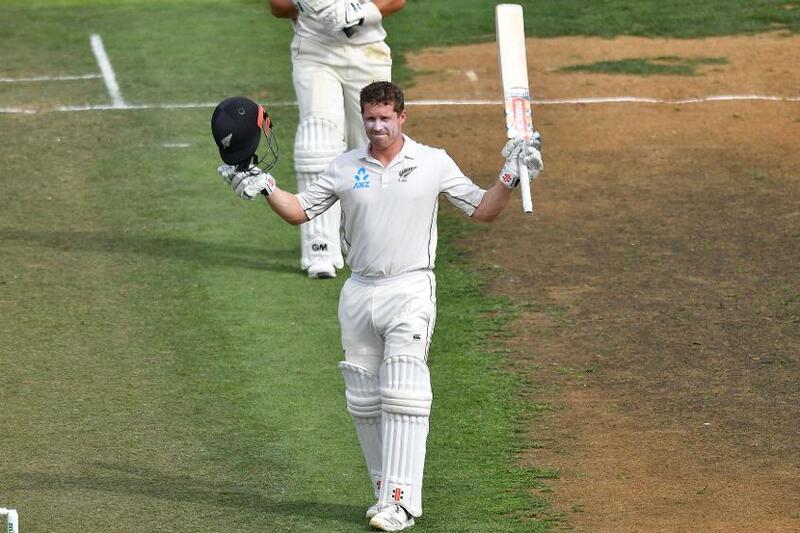 New Zealand dominated the penultimate day of the second Test, reducing Bangladesh to 80/3, a deficit of 141, by stumps in Wellington on Monday, 11 March. That was largely thanks to Ross Taylor. Resuming the day at 19*, the veteran hammered a 212-ball 200 – his third Test double century – and put on a 216-run stand with Henry Nicholls, who himself scored his fifth Test century. With Kane Williamson, the captain, also scoring a half-century, the home side were able to post 432/6 declared before reinserting Bangladesh. Once again, the visiting batsmen struggled to handle the moving ball, and crucially, Tamim Iqbal, their in-form batsman, was cleaned up by Trent Boult. He followed it up with the wicket of Mominul Haque (10) and Matt Henry had Shadman Islam caught behind for a 44-ball 29. Bangladesh were reduced to 55/3, before Mohammad Mithun (25*) and Soumya Sarkar (12*) steadied things to take them to stumps. New Zealand have a real chance to go 2-0 on the final day, despite the first two days of the Test being washed out without a ball being bowled. The home side resumed the day at 38/2 – Tom Latham and Jeet Raval, both centurions in Hamilton, were dismissed late on the third day – and had some luck going their way early on when Taylor was dropped twice in an over. He was on just 20 at the time. He shrugged it off and picked a couple of boundaries off Abu Jayed’s next over, and once the first hour was negotiated, the boundaries came more frequently. New Zealand crossed 100 after Williamson struck consecutive fours off Ebadat Hossain, and the two kept at it. Taylor had a particularly pleasing time against Jayed – he launched him for two fours and a six in the 30th over – and for a while there, he was scoring at better than a run a ball. He was just six short of a century when Bangladesh finally got the breakthrough at the other end: Williamson sent a return catch to Taijul Islam for a 105-ball 74 to end a 172-run stand for the third wicket. Unperturbed, Taylor launched a six off Islam to bring up his century off just 97 balls, shortly before lunch. After resumption, Nicholls quickly settled down, and picked Mustafizur Rahman for three fours in an over. The 300-mark was breached in no time, and the lead soon crossed 100. They just kept going, Taylor lifting another six off Hossain, and by the time it was tea, New Zealand had 372/3 on the board. They had added 174 runs in the second session alone. Nicholls brought up his century shortly into the final session before falling to Islam, but Colin de Grandhomme came in and biffed a few boundaries, even as Taylor closed in on his double. The veteran got to the mark off just 211 balls before finally falling to Rahman in the next over, ending a knock that comprised 19 fours and four sixes. New Zealand declared not long after, giving their bowlers 20-odd overs to get at Bangladesh. They did just that, and the visitors have an unenviable task on the final day to earn a draw.